Four years ago, on June 20, 2007, I defended my doctoral dissertation at the Gregorian University. 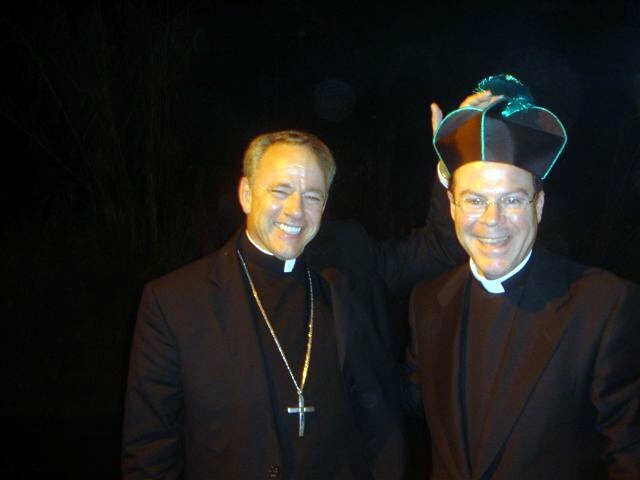 The wild biretta--the academic headgear for the degree--is being placed on my head by Archbishop J. Michael Miller, secretary of the Vatican's Congregation for Education--and now, happily, Archbishop of Vancouver. It was a great night and it's hard to imagine four years have passed so swiftly. Congratulations! I don't ever want the hat but I'm really hoping for the piece of paper that says I'm done my academic training!